Northwood Hygiene Products Limited is one of the few companies in the United Kingdom that is vertically integrated, managing their business from raw material supply, tissue and towel manufacturing to end user product converting, storage and transportation. The start of this cycle begins with over 40,000 tons of recycled paper that ends up as toilet tissue, paper towels and professional wiping products. Following a call from the site engineering team at their Penygroes plant, and subsequently the engineering manager of their new Northwood factory in Telford, RAB Specialist Engineers was asked to provide filtration advice for motor cooling fans and electrical control panel coolers. A by-product of paper processing is large amounts of airborne paper fines or pu lp fibers become discharged during the manufacturing. These lightweight fiber fines float in the air, to be pulled into surrounding equipment air intakes. 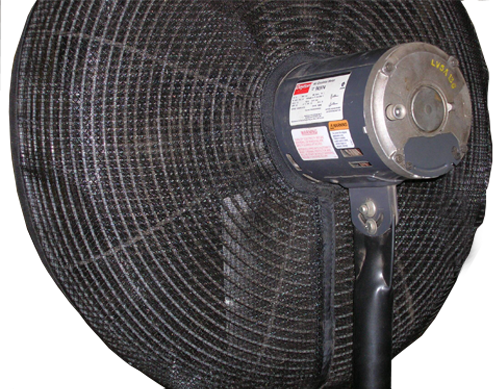 At the Telford plant, the manufacturer had placed a filter in front of each of the two circular cooling fans. 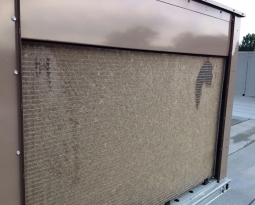 The original filters, located inside the fan guard became clogged very quickly and required cleaning 2-3 times per week. Removal of each guard’s 6-8 screws, and washing the filters at a cleaning station before replacing them took approximately 40 minutes. During this time the production line had to be shut down at a loss of 2,500 meters of tissue production per min of operation. In other words, every time the cooling fan systems are down for cleaning maintenance, the company loses 62 miles of toilet paper production! 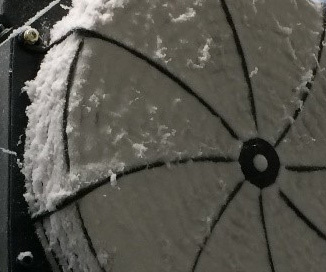 Permatron’s PreVent® washable polypropylene bonnet or fan shroud “air net” is a simple solution custom sized and installed over the outside of the fan guard. 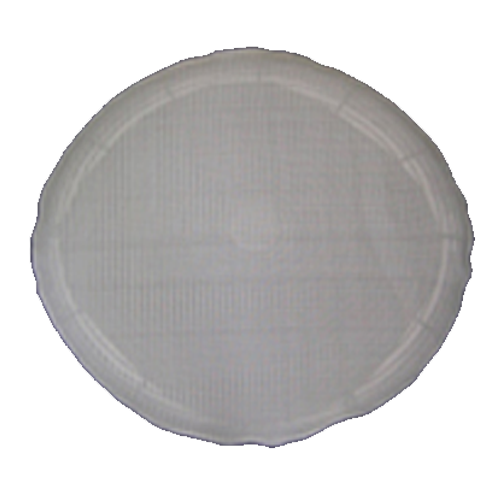 Manufactured with an elastic border, the dirty filter is easily removed and replaced immediately with a clean spare bonnet filter. 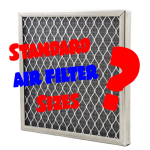 Washing the dirty filters can be done at a more convenient time. 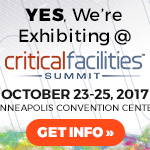 The changeover period takes about a minute for each fan, saving 38 minutes of costly manufacturing downtime. 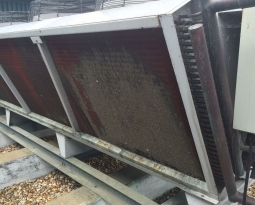 The second area to be affected by the airborne paper fines was the air intake for the the equipment’s machine components and electrical control panel housed within an acoustic enclosure outside of the building. 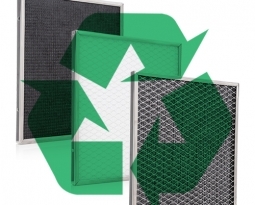 The PreVent® Model R2 rigid panel style filter, with magnetic stripping affixed to the steel frame, was custom sized and affixed to the outside of the steel enclosure air intake louvers. 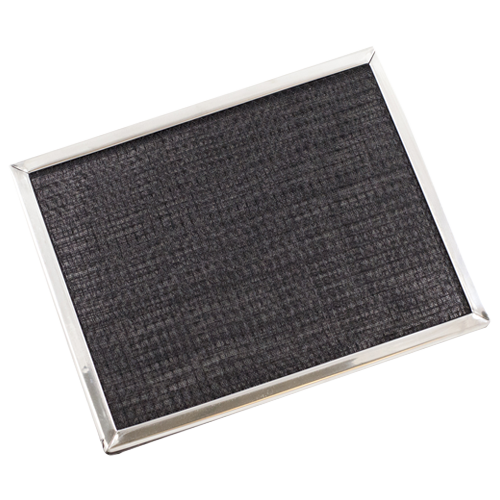 Easily removed using a permanent pull tab, this air filter can be washed and replaced in minutes or cleaned in place with a broom or shop vac. PreVent’s electrostatic polypropylene media is UV protected for outdoor use, with minimal resistance to airflow. 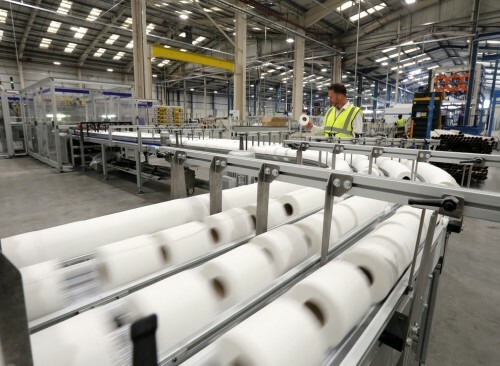 Northwood has invested an 8 figure sum into it’s state-of-the-art Telford plant, with costly machines to automate a huge part of their operation and massively increase the speed and scale of the company’s output. 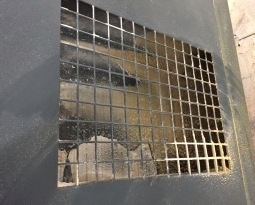 A simple and effective product like PreVent air intake protection filters will help preserve their equipment, and make costly cleaning downtime a thing of the past.